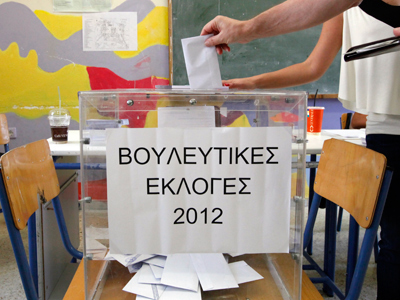 Greece is struggling to form a new government after the right-wing pro-bailout New Democracy managed to win a plurality in the elections. Whatever the makeup of the government, austerity will not work, believes sociologist James Petras. 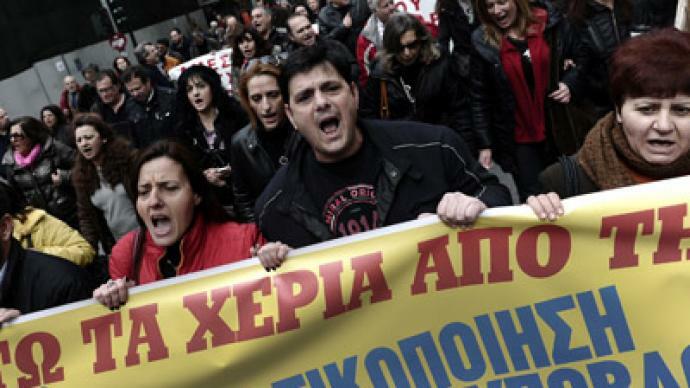 ­RT: How are the people of Greece going to take more austerity measures from a possible new pro-bailout government? James Petras: Actually about 60 per cent of the population voted for parties that are opposed to the bailout, and I think, with $350 billion in debt, there’s no way that the bailout or the agreement between the right-wing and the bankers is going to work. That’s a foregone conclusion. The attempt to form a national government itself is fraught with conditions. 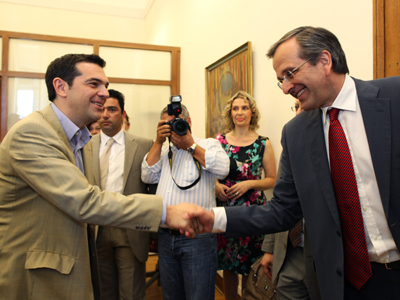 The elected plurality winner, Antonis Samaras of New Democracy, says that he wants to renegotiate the conditions. And Germans particularly say they are not going to renegotiate any of the austerity, they’re only willing to look at lowering the interest rates and perhaps rolling over some of the immediate debt payments. But 100,000 public sector employees are to be laid off, the minimum wage is to be cut in half, pensions are to be reduced, over a billion dollars in a disastrous health plan are to be cut. That’s going to provoke major popular upheaval. The populace voted for the right to the degree that they voted for them on the understanding that they will not be made to suffer more, and yet the European bankers are demanding that the new government comply. RT: Is there any alternative for Greece, a country in dire economic straits, to achieve any growth? JP: They can’t under the bailout agreement. That’s one of the great paradoxes. And I think one of the things that is going to come out of this very shortly is that this newly-elected government is going to collapse. 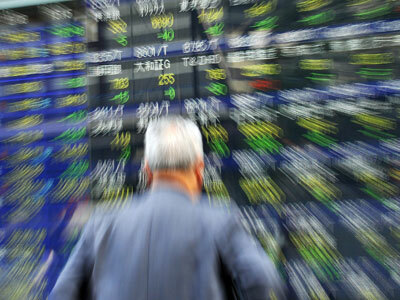 And I think that the stock market has anticipated that this is not going to work and there’s a great deal of turmoil, especially in the banking sector, which will be immediately affected. I think one has to say that this is not the end of the crisis, this is a deepening of the crisis, and we’ll see it unfold in the next few days. RT:Is the answer for Greece to get out of the eurozone? JP: That’s what needs to happen. I think the Syriza idea of staying in the euro and rejecting the bailout just isn’t going to work. Greece has some reserve funds; they can cut their military budget by a drastic amount. They have to reorient whatever funds are available toward reactivating the economy. There’s no other way out of this. Otherwise it’s an endless spiral downwards. RT:What would happen with Germany if the eurozone debt crisis continues to spread? JP: Germany has been the primary beneficiary of the eurozone, and they’re going to suffer the consequences. A Greek walkout of the euro is going to have a big impact on Spain, Portugal, Italy, and that ultimately will affect Germany, and Germany will pay the price for its intransigence, for its demands that a country lead itself into the grave. I mean this is what the continuation of austerity means. It doesn’t result in payments to the banks. All it means is recycling new loans after bad loans, and I think the cumulative debt in Greece is astronomical. 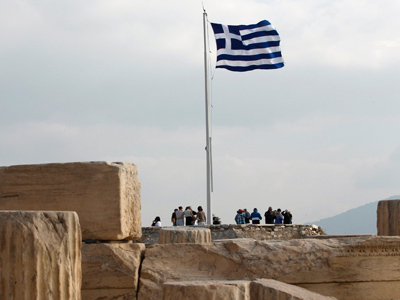 There’s a big debt payment coming at the end of July that Greece cannot make. It is a total devastation of the economy and its prospects for the future, and Germany ultimately will pay. The breakup of the eurozone means that each country will go its own way.